Following procedures set by college or department legislation, the department contacts external experts to request evaluation and feedback on the case. The role of external reviewers is to assess the candidate’s accomplishments, stature in the field, and future promise. External reviewers should be given a charge that is as specific as possible and should be provided with as much material relating to the candidate’s performance as is conveniently possible (excluding other confidential evaluations). 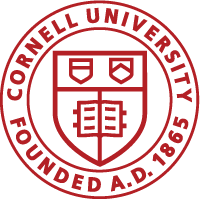 Although the candidate may suggest external reviewers, the tenure dossier should include at least five letters from peers outside Cornell who have not been closely associated with the candidate and who have not been selected by the candidate. In selecting external reviewers, departments should select at least some well-established leaders in the larger discipline who are not working in the same sub-discipline as the candidate. The purpose of these evaluations is to understand the breadth of impact and promise of the candidate’s teaching. To evaluate the candidate’s success in teaching, the department compiles documentation such as course evaluations, letters from both suggested and randomly chosen graduate and undergraduate students, peer assessments of teaching, and course materials. It is helpful to include: any comments on the candidate’s efforts to improve instruction; how student evaluators were selected, the rate of response, and the usual rate of response in the department; and data on how candidate’s teaching evaluations compare to those of other faculty teaching the same or similar courses. Voting practices vary across units, but typically the department’s tenured faculty reviews the dossier, and then meets to discuss and vote on tenure. Following the vote, faculty members typically provide confidential explanations of their vote to the department chair. These letters assist subsequent reviewers of the file to understand the thinking underlying the faculty vote. The department head decides whether to recommend tenure. If the decision is positive, the department head forwards the dossier (supplemented with external reviews and faculty input), and a recommendation to the dean. A negative decision triggers an appeals process. See Faculty Handbook Section 4.3 Appeals for more information. See department checklist for dossier contents.